Clement XI renewed his predecessor’s commission and, definitively, took The Mystic City of God away from the Index, but he did not get any positive result from the commission. The Dominican Pope Benedict XIII ordered to continue with the Cause without a new exam; in 1730, after the Pope’s death, his provision was invalidated, and Benedict XIV assigned a special commission. They proceeded to examine her writings, and the Cause could not continue without their positive verdict. 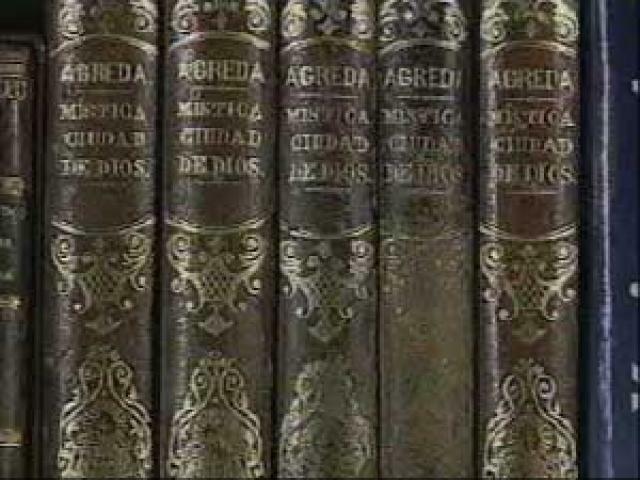 They doubted about the authenticity of Mother Agreda´s book. The original manuscript was taken to Rome for an expert report that declared it authentic, but Benedict XIV dictated a severe document that should be filed in Saint Angelo castle, warning every future Pope about the inconveniences of The Mystic City of God approval. The Cause stopped, although some progress was made, for example her sanctity approval “in genere”, the introduction of the apostolic process about her virtues and miracles “in species”. Clement XIII approved all her writings but The Mystic City of God. The Franciscan Pope Clement XIV tried to reopen the Cause. The Spanish King Charles III was very interested with this issue. He sent to Rome the Count of Floridablanda as the person in charge of it, so as to get three decisions from the Pope: the definition of the Immaculate Conception, Mother Agreda´s canonization and the suppression of the Society of Jesus. But he was more interested in getting the third objective than the first two, the Count worked with courage to surmount the Pope’s resistance to give the coup de grâce to the Society. 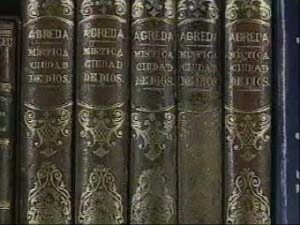 The Pope himself was interested in Mother Agreda´s Cause, but the reading of the historical session of the Rites Congregation (27th April 1773) and Benedict XIV´s secret document produced a negative effect among the participants, and the Pope could not help promulgating the decree of perpetual silence about the Cause of the Franciscan nun from Agreda. Pius VI, Pope Ganganelli´s successor, maintained firmly what Clement XIV decided. Only under the Pope who promulgated the Immaculate Conception dogma Pius IX, with occasion of the famous miracle that happened in the Franciscan convent of Nivelles (Belgium) and also due to the Passionist Father Seraphim’s suggestion, awoke new hopes to reopen the Cause. Pius IX´s death made the initiative ventilate under Lion XIII ´s pontificate. But he reached the same drastic decision as Clement XIV; his verdict was absolute silence again on December 19th 1887. Mother Agreda is the only woman affected by a double Pope’s veto against her Cause of beatification. That was not the only reason why she attracted the maximum fame. Her person became more popular for the arguments around The Mystic City of God contents about the Immaculate Conception.